According to author Adrian Calabrese, we all receive divine signs from the Universe, Spirit, God, or whatever we call the Creative Force. Such "signs" come to us when we need confirmation that we're on the right path -- or occasionally, as warnings when we're headed down the wrong one. 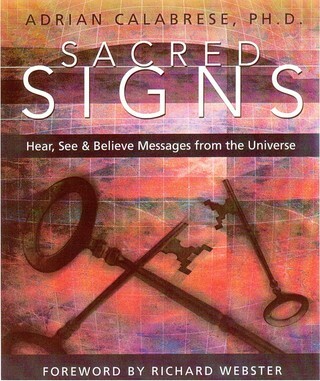 Sacred Signs is about learning how to talk to the Universe, and how to understand the answers you receive. Divided into three main parts, this book gives you the three keys to the knowledge of the Universe: asking, accepting, and trusting. Part I helps you understand what sacred signs are, and explains the three keys in detail. Part II shows you step-by-step how to recognize, request, and interpret each sign and its personal guidance. Part II shows you how to maintain this ongoing conversation with God every day of your life -- in essence, the key to answered prayers.